Gokarna means cow’s ear in Sanskrit. It is at the ear-shaped union of two rivers Gangavali and Aghanashini. It is one of the best Indian destinations to enjoy your Christmas 2018 that has replaced Goa in the meantime. Every year hordes of tourists and hippies visit Gokarna in search of spirituality and salvation, on one hand, respite and relaxation on the other. The Half-moon Beach and the Paradise beach are the most famous ones that have brought in international recognition. Surrounded by small hills and islands between them, these beaches are must-see places for all the passionate nature lovers. Gokarna Beach is only preferred by the pilgrims. According to religious customs, pilgrims must take a dip in the waters of Gokarna Beach before entering the Mahabaleshwara Temple. 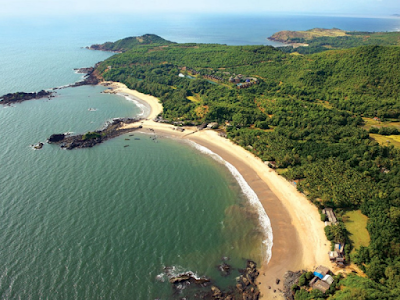 Next is, Om beach of Gokarna, which makes the sign of Om with its shore. You can visit Murudeshwar beach and worship at the temple at the beach which hosts a huge silver idol by the sea. Also, the Maha Ganpati temple and Koti Tirtha, a very sacred lake for Hindus. You can also visit Gokarna beach and full moon beach to watch the sunset. Plan your Christmas and New Year holidays and visit this amazing place to experience the electrifying parties. If you are confused between Goa and Gokarna for New Year 2019, then choose Gokarna for a change for magical December holidays. It is famous for many clean, unspoiled beaches, and the best beach destination in India. Try out early morning yoga as there is no better way to kick start your 'New Year fitness resolutions' with peace in Gokarna. Known for the white sands and clear waters, Tarkarli Beach, the place appears as it comes out of a fairytale, offers immaculate sand beaches, and is a popular spot for water sports. 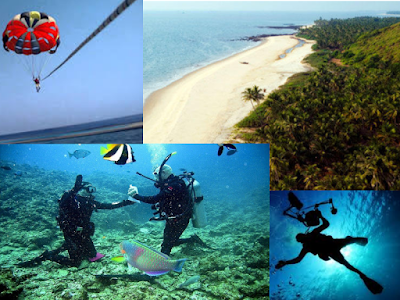 It is one of the less crowded Indian destination located by Maharashtra’s famed Konkan coast. Plan your visit to Tarkali to celebrate Christmas and New Year amid homely atmosphere and delicious seafood. Welcome, New Year 2019 whole heatedly by watching and enjoying the blue-green ocean along with golden sand and rocks. Do you know that Tarkarli in Malvan, Maharashtra is the only place where you can delve deep into the enticing world of marine life for a serene escape? 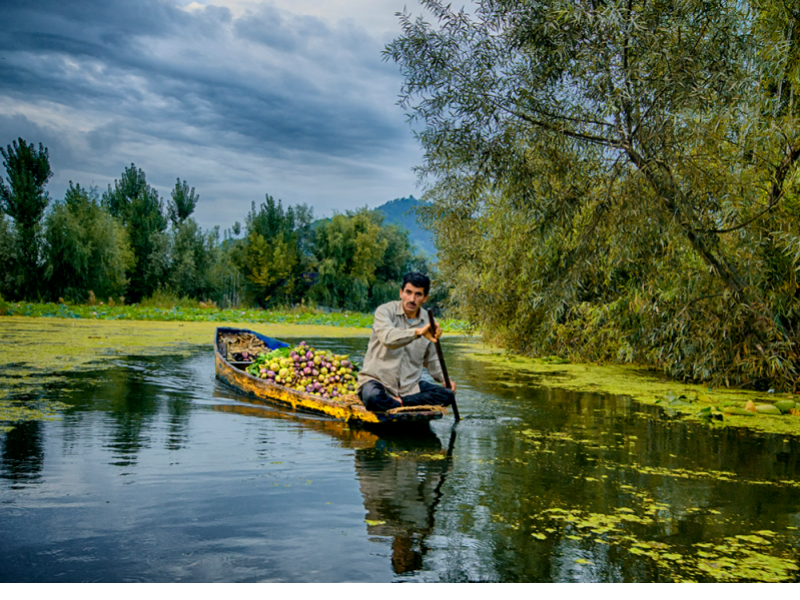 "Gar firdaus bar-rue zamin ast, hami asto, hamin asto, hamin ast"
Indeed Kashmir is truly a paradise on earth and is the perfect Indian destination for Christmas and New Year celebrations. December is the best time to visit this beautiful place as it turns into a white gold. Make this New Year memorable by observing a blanket of mist from Shikara amid snow-covered mountain peaks in Gulmarg and Sonmarg. Snowboarding and skiing are the best things to do in Kashmir during winters, especially if you have an adrenaline rush to satiate. In fact, doing nothing and just getting absorbed into the beauty of the surroundings is enough in itself. There are many apprehensions about the hostile conditions and prevalent curfews and militant attacks. No doubt, it is not 100 % safe but instead of going with the negative outlook what our media presents to us. It is better to listen to the travelers and bloggers, who present to you the situation in the complete raw state. If camels, turbans, ghoomar, sarangi, colors and opulence attracts you then welcome to the 'Golden City' Jaisalmer is one of the most popular attractions to celebrate Christmas and New Year's Eve. The best way to celebrate New Year 2019 is by experiencing the grandeur and lavishness so that we get this same feeling the whole next year😉 Enjoy walking on shifting sand below the clear blue sky of winter; this is what makes your New Year special and unique. 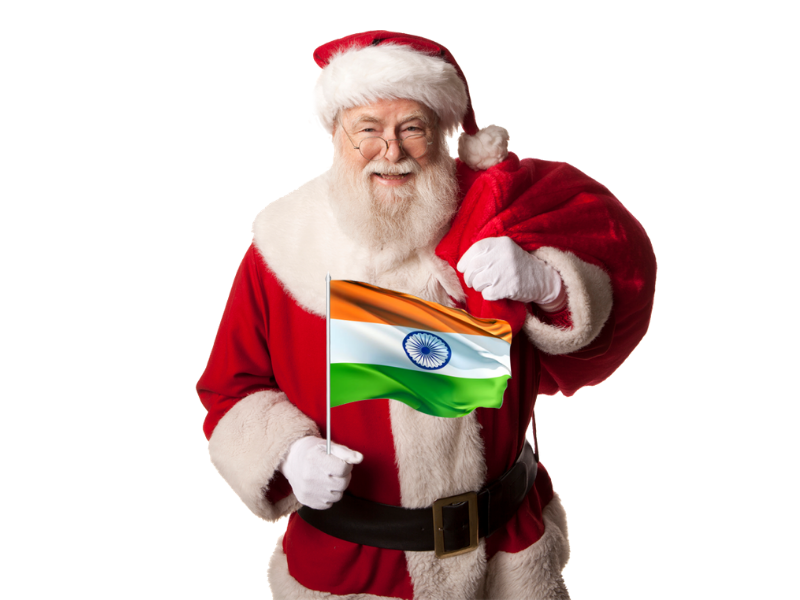 The climate in December makes it a best offbeat destination to celebrate Christmas and New Year. Enjoy jeep safari, quad biking and desert safari on camels. Just imagine your clothes swaying by the winds along with the sand dunes. Also, the local food cuisines of dal baati churma and kadhi are a must try. 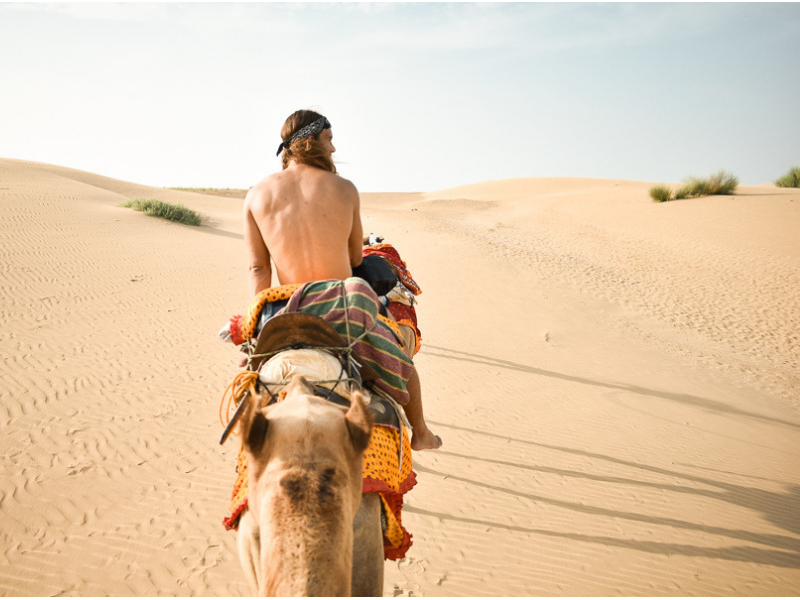 Not just this, Jaisalmer offers you the best of both- nature & heritage. Visit Jaisalmer fort to taste the splendor. Watch late night folk dances and music performed by the locals to get that feeling of being a royal heir. 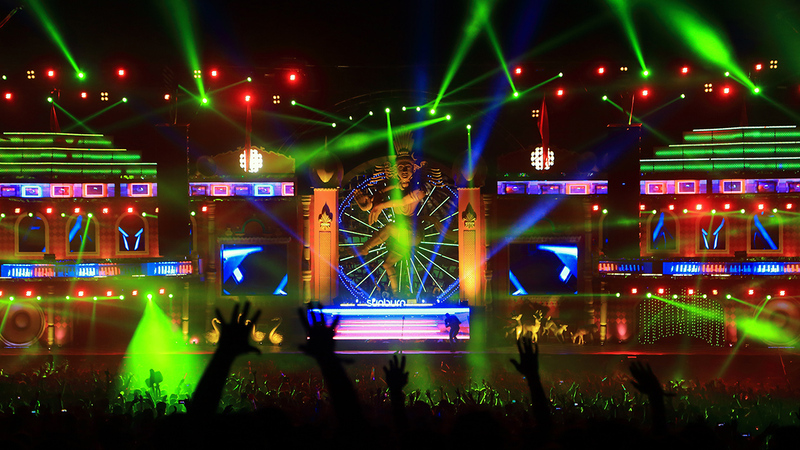 We suggest you enjoy your nightlife in Jaisalmer at Sam Desert Nights. The cultural programme with Folk Dance, Kalbeliya, bhavai Chakri, and fire dance. Did I forget to tell you that like watching sunsets on the beach is a must, missing a moon rise in the deserts is a big no! no! 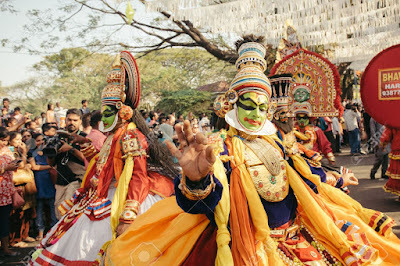 Kochi (Cochin) in Kerala is also among the topmost places to celebrate Christmas and New Year. The main attraction in Kochi in December’s last week is the parade of embellished elephants, fair, parties as well as games for youngsters. This is the amazing carnival in Kochi which offers an amazing experience and which starts in advance to display the old and rich culture. The carnival is organized to mesmerize the visitors and offer a bundle of joy and fun for coming to New Year. Tip- Never forget your camera at home because you definitely would not like to miss to capture the extravagant colors and expressions around! 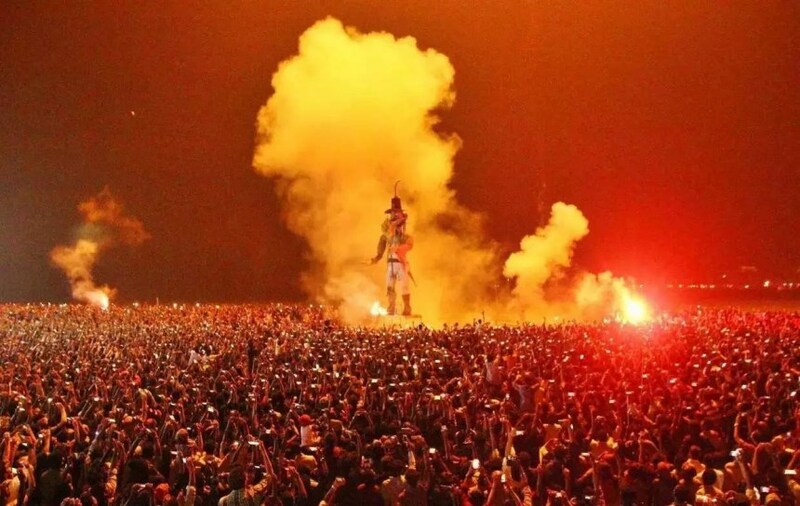 Talking about carnivals and festivals, how can we miss the famous Sunburn festival which is going to happen in Pune this year from 29 Dec to 31 Dec. And if a day is spare, head straight away to 3-hour drive from Pune to Mahabaleshwar. 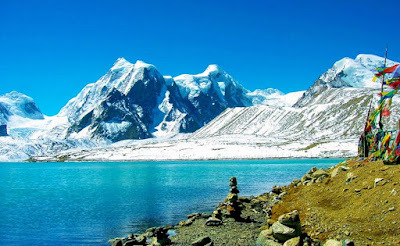 Those living in southern India and do not want to come to north India to experience the winter season can go there as this is the perfect period to experience the best of the hill station. Another getaway, we are pretty sure how must have heard a lot in Bollywood movies. Lonavala is an extraordinary decision for the individuals who wish to get away from the rushing about of daily life for a couple of days. You can do Rajmachi and Kondane caves trek, visit Lion's point and drive through western ghats. Gangtok is one of the major tourist destinations of the northeast and is undoubtedly perfect places to celebrate New Year in India. The city looks stunning in December as it is fully covered with snow and offers many snow activities. To enjoy on New Year Eve 2019, you can try out skiing and snowboarding. You can also enjoy the karaoke music at bars and hotels in here as nightlife in Gangtok is considered as one of the best in whole nation as the place has plenty of casinos, discos, and pubs where you can enjoy and unwind. 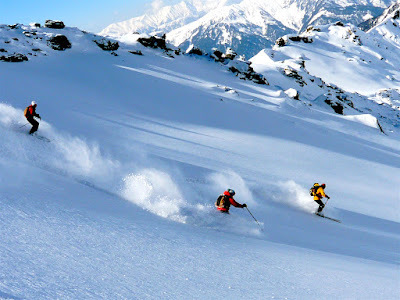 Auli is skiing capital of India so you must visit this place for some fun. After skiing, you can do Asia's Largest Cable Car Ride and Gorson Bugyal Trek. The views from this cable car are magnificent. Himalayan peaks like Mana, Kamet and tallest of all Nanda Devi can be glimpsed from the top of this lift. The panoramic view in Auli can be astonishing as it is surrounded by very high peaks including Nanda Devi. There is an artificial lake as well in Auli which is the world's highest man-made lake. 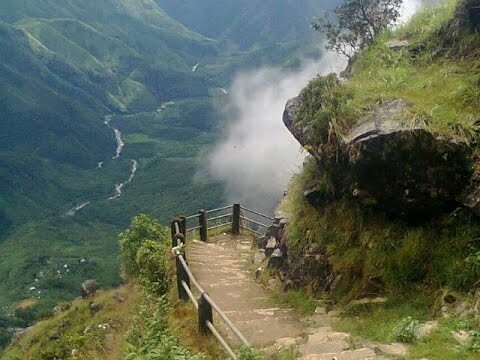 Popular as the 'abode of clouds' the best time to visit Meghalaya is in monsoons and winters especially during the christmas time. This state constitutes mainly of the tribal population who are said to have inhabited the region from time immemorial. So, this place is replete with numerous ceremonies and traditional fiestas in the capital city. 1. Major attractions are the famous root bridges, which are hundreds of years old in Cherrapunji, Nohkalikai falls, and Mawlynnong Village located in the East Khasi Hills of Meghalaya also referred as ‘God’s own garden’ has won the acclaim of being the cleanest village in Asia in 2003. 2. The village also offers a sight of natural balancing rock, a strange natural phenomenon of a boulder balancing on another rock. 3. From Mawlynnong one can see the Indo-Bangladesh Border. 4. In Dawki, the Umngot River where the water is crystal clear and is said to be one of the clearest rivers in India. 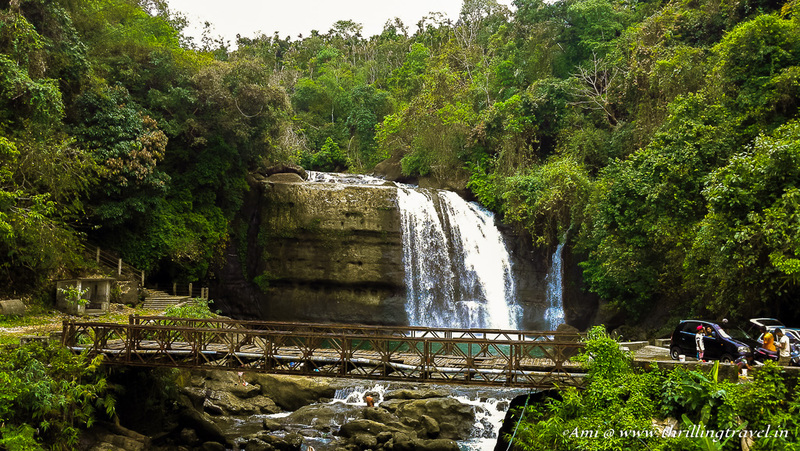 The journey from Mawlynnong to Dawki is thrilling and scenic as we pass through lush green valleys and waterfalls gravitating down from every corner of the hills. 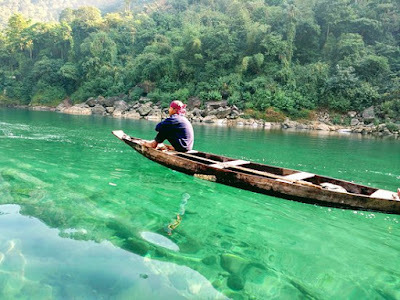 Take a boat ride which is the most astonishing thing to do in Dawki. 5. Visit The Laitlum Canyons. 6. 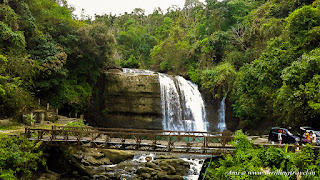 Krang Suri is a breath-taking waterfall that provides an amazing bird's eye view of the entire location. No nature lover and adventure enthusiast can afford to miss this breath-taking milky white waterfall which is a tourist's delight. 7. Visit Nartiang Monoliths- a gem of Jowai, full of rich history. The monoliths at Nartiang belongs from the stone age. Pondicherry (Pondy) has a lot of French influence even today, given to its French colonial history. 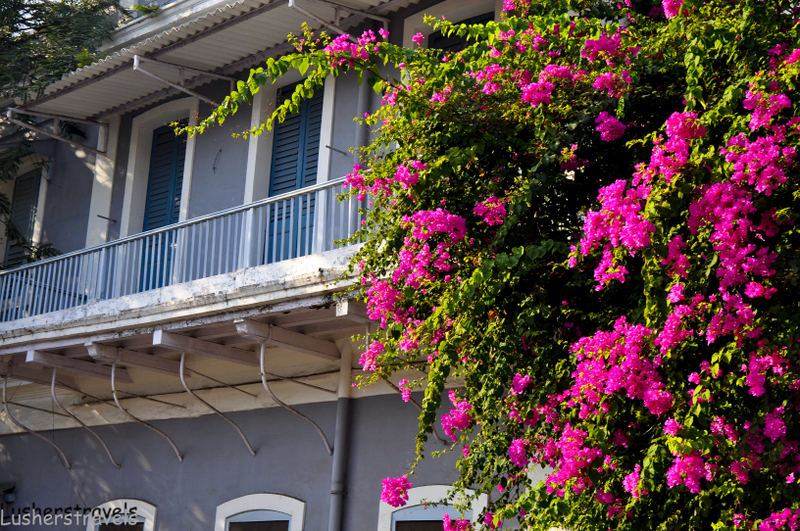 The weather in Pondicherry during Christmas time is pleasant. 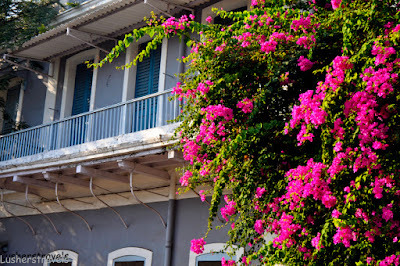 Seaside Promenade, Sri Aurobindo Ashram, the Barathi Park, Botanical Garden, Chunnambar Boat House, Auroville, French Quarter and Paradise Beach are popular places among foreign travelers and locals. If you really want to experience this unconventional and multi-dimensional space then relax, slow down, find meaning and purpose in the simple things – from wandering on the roads surrounded with colorful French influnced houses to soaking Vit. D on the beaches, from meandering to meditation, from sea swimming to scuba diving or simply sitting by the beach; there are numerous ways to unwind in Peaceful Puducherry. Spend a week here! 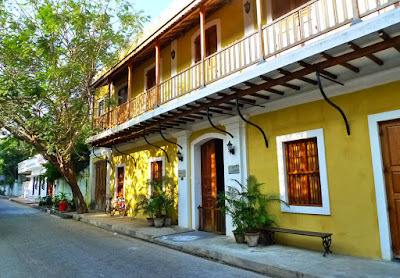 But if you love living fast you can see everything there is to ‘see’ in Pondicherry in 2 or 3 days. Visit churches, temples and heritage sites. Eat. Drink. Shop. Party. You are bound to wonder whether you are in South India or a French hamlet. Christmas and New Year celebrations are not always about never-ending parties or fancy lights. It is also the perfect time to explore new destinations and also to experience the holiday vibes. Enjoy your New Year 2019 with a bang like never before. 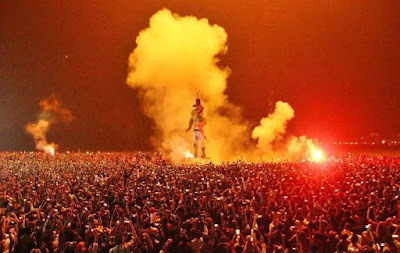 For sure the above-listed destinations in India will give New Year feisty and hearty welcome. Do share this post, if you liked it and comment below with your favorite locations.